Windmill? Yup. Loop-de-loop? Sure thing. 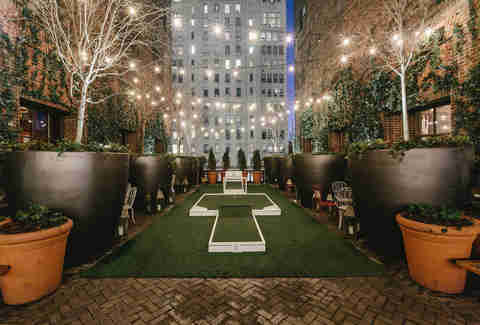 A cozy layout right at the Hudson Hotel’s outdoor rooftop space that doesn’t require wandering aimlessly through corny, themed pirate caves? You bet. 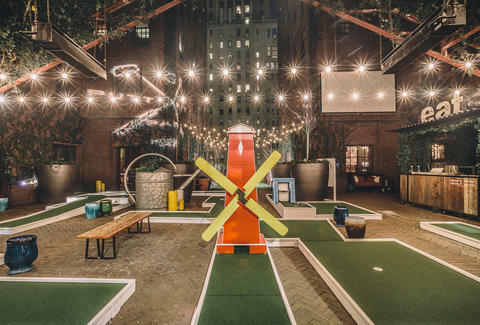 You’ll find this space familiar if you’ve ever checked out their summer Tequila Park pop-ups, but the Putt Putt makes this rooftop way more interactive. 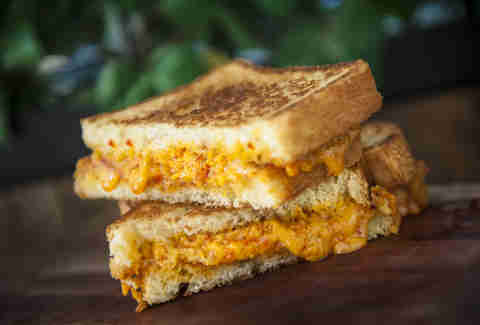 At the real life Masters in Augusta, the Pimento cheese sandwich is something of a sustenance staple, but Putt Putt is throwing that sucker on a flattop, giving you a ridiculously mouth-watering grilled cheese take on the classic (look how painfully delicious that thing looks up there!). There’s also a belly-pleasing Southern Fried Chicken Sandwich and a frozen-custard version of the south’s greatest gift to desserts: the moon pie. Best part? It’s all one-handed food, so you can keep stuffing your face while you're playing the back nine. Every time summer comes around, there seems to be an influx of the same old Arnold Palmers and sweet teas. 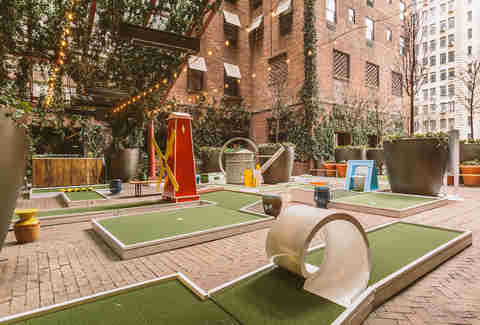 Putt Putt Park is amping (read: boozing) things up with new twists on some golf classics. 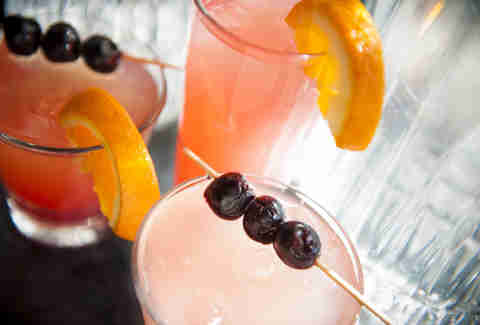 There’s the lemony, bourbon-y Golden Tea, the Ms. Collins with vodka, Prosecco, and citrus, and the Damn Gopher with tequila and grapefruit -- so you got that going for you, which is nice. So how do you jump on this “only open for one month” opportunity? Play is $10 per person to the general public, but only $7 if you happen to be staying at the Hudson. Or you could plan ahead and grab the Stay and Play package that starts at $199 and includes a room and some mini golf. Because the “mini” title at hotels has been undeservedly held by minibars for far too long.